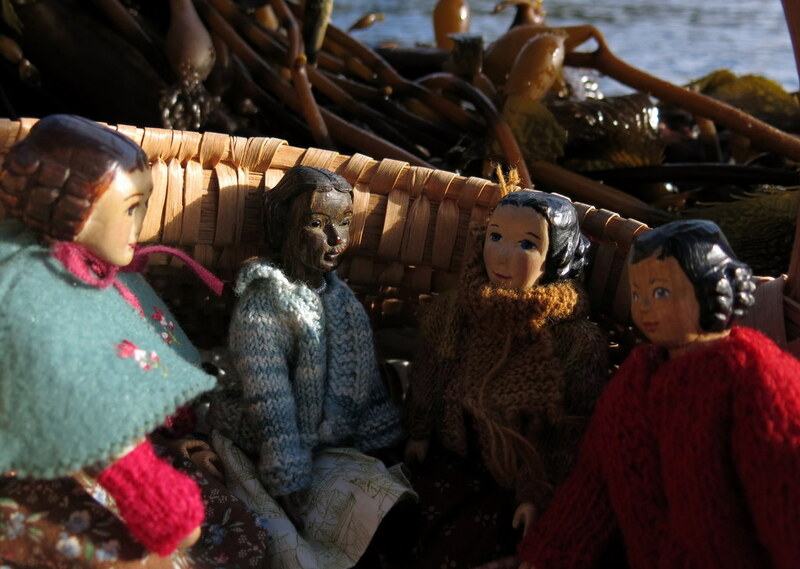 …we had a Tsunami warning yesterday – the girls wanted to see if the beach was OK.
and big rafts of kelp on the beach. 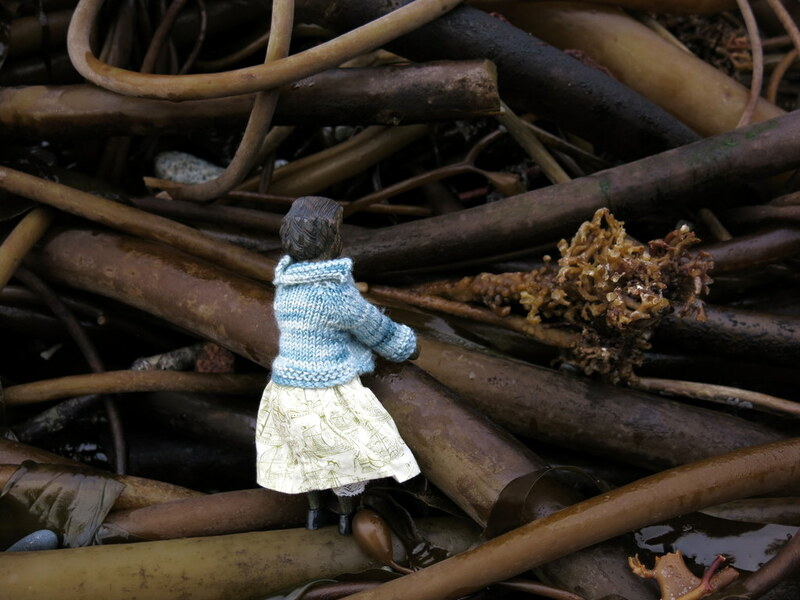 …which tend to deposit seaweed higher up the beach than usual…. 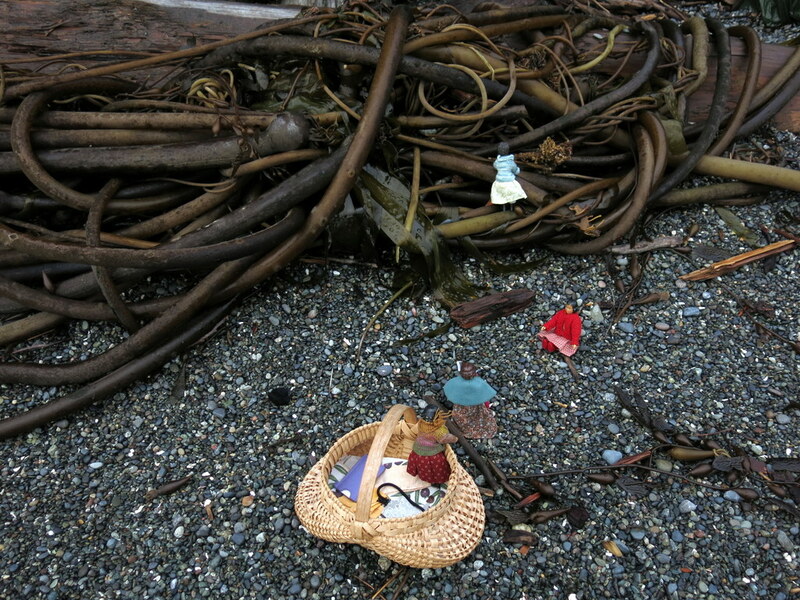 …and uncover delights like sea glass. 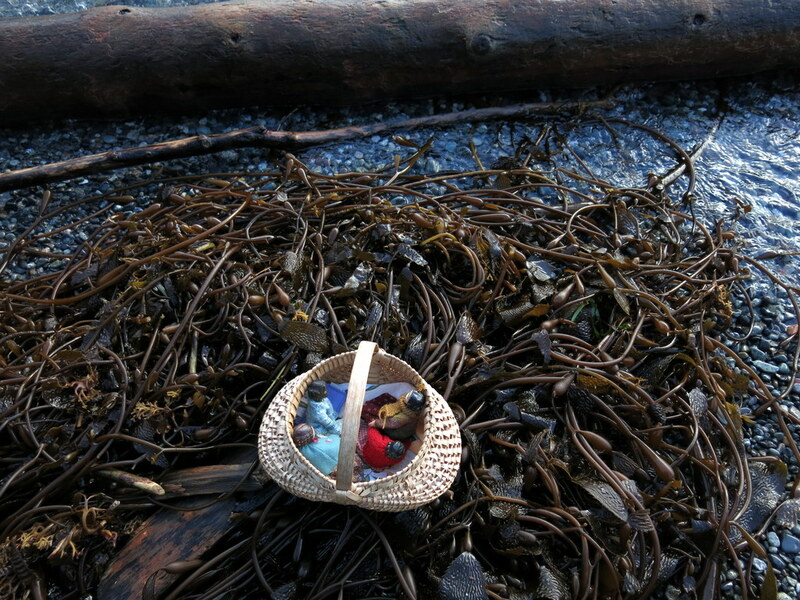 We didn’t find any of our favourite blue glass, but there was a nice old Canning jar lid! We love the beach, and are glad that the Tsunami never materialised! We did hear slamming doors and loud voices in the middle of the night, as some people were alerted on their phones or by relatives calling them from eastern time zones, and fled the neighbourhood in a panic. But in fact the Quimper Hitty cupboard is well above the predicted inundation zone, so none of us were ever in any danger. 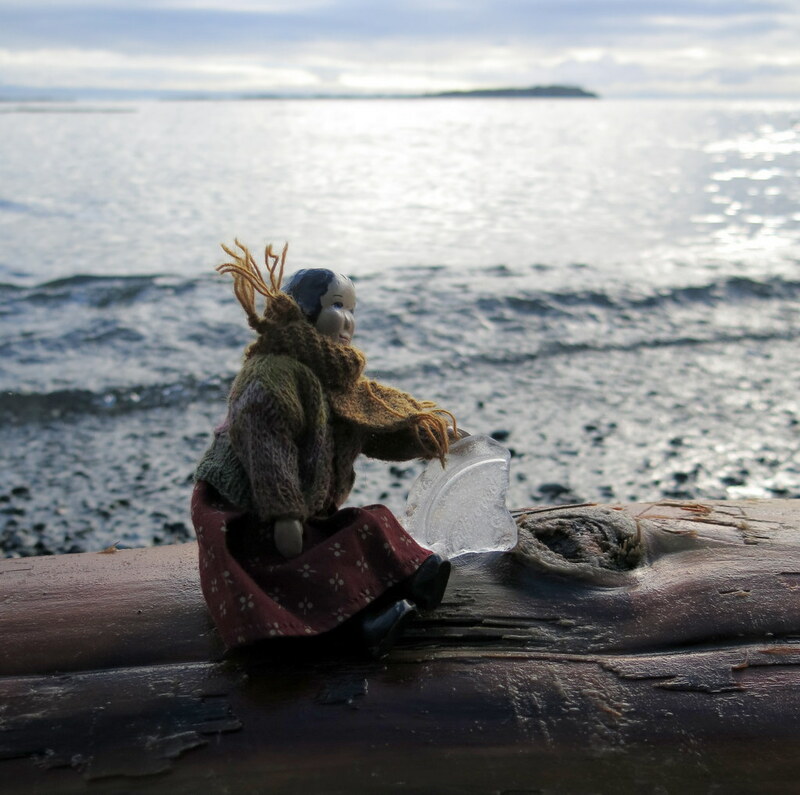 We are glad that only the usual stormy weather is sculpting the beaches of Victoria these days! We are so glad that all of our beloved Quimper family is safe and sound. We read in our morning paper about the tsunami warning that went from Oregon to British Columbia from an Alaskan earthquake but thankfully never materialized. From waves that produced seismic- activity to tsunami warnings…I think you and the Hittys were brave indeed. 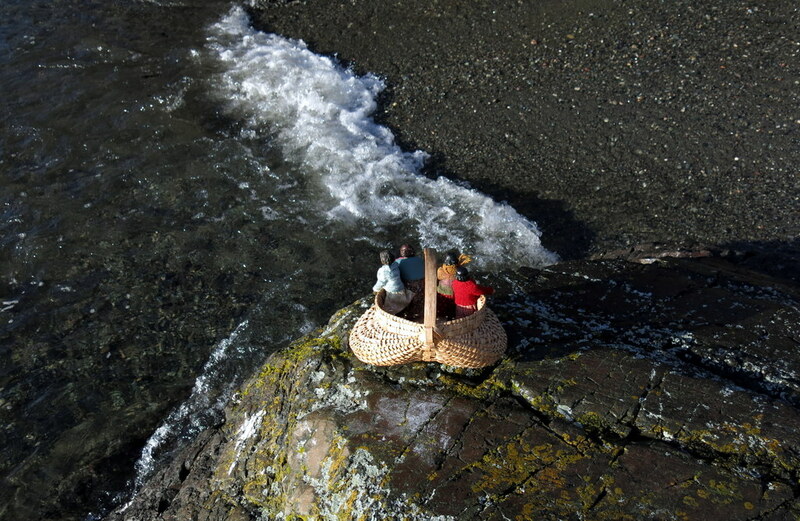 Glad to see the sea behaving and the Hittys out and about enjoying it. It doesn’t hurt to be reminded to “be prepared “ – we do live in an earthquake zone! We are glad that there was no cause for worry in other more vulnerable parts of the coast either! 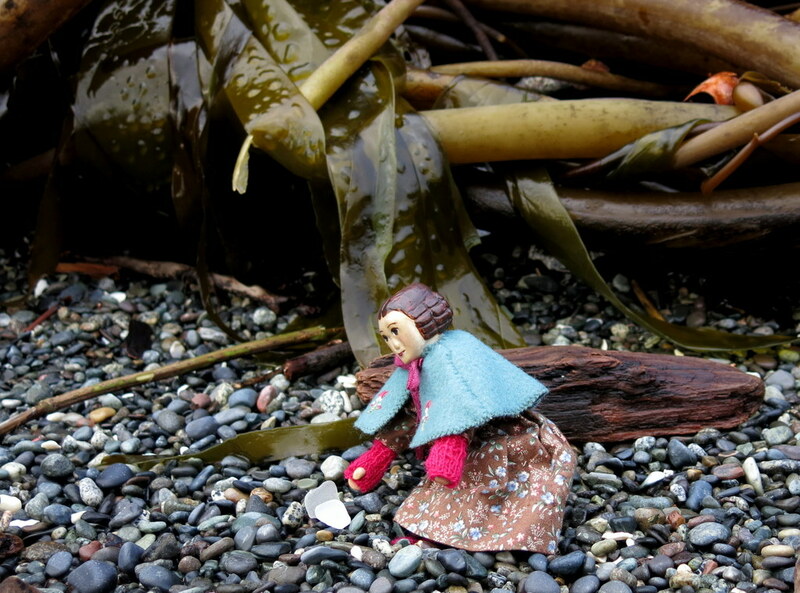 I too am grateful for you all that there was no tsunami that materialized…just a fun jaunt on the beach. We enjoyed ourselves very much, even though the tide was pretty high, it is always fun to take a little jaunt to the beach! wow….tsunami warnings!! Not something we have to worry about here in Mo. (ask me about tornado warnings when summer gets here). Glad you are above the zone!! Love seeing the girls exploring their beach. 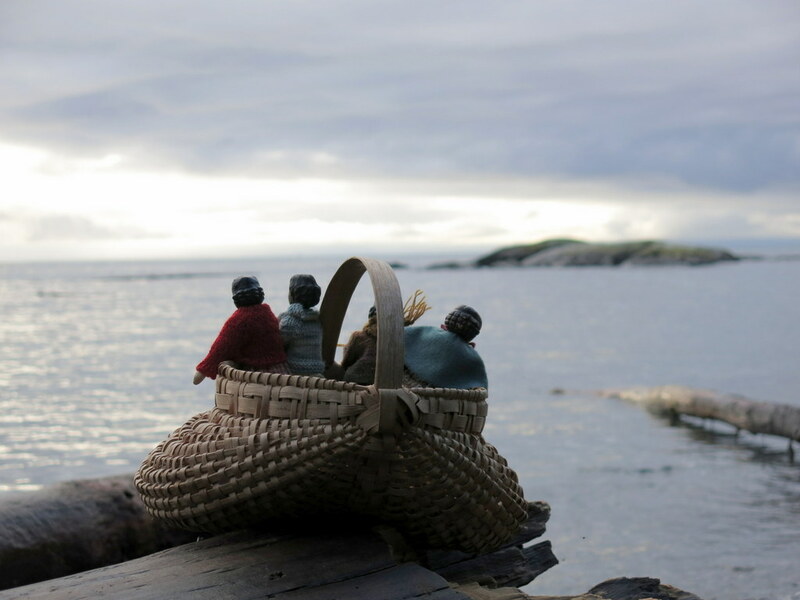 That is a nifty basket they were riding in. And they were all dressed so warmly. Great pics. So many nice sweaters and a perfect day to wear them. We found the basket at a charity shop, and we find it a good size for a quartet of Hittys ! 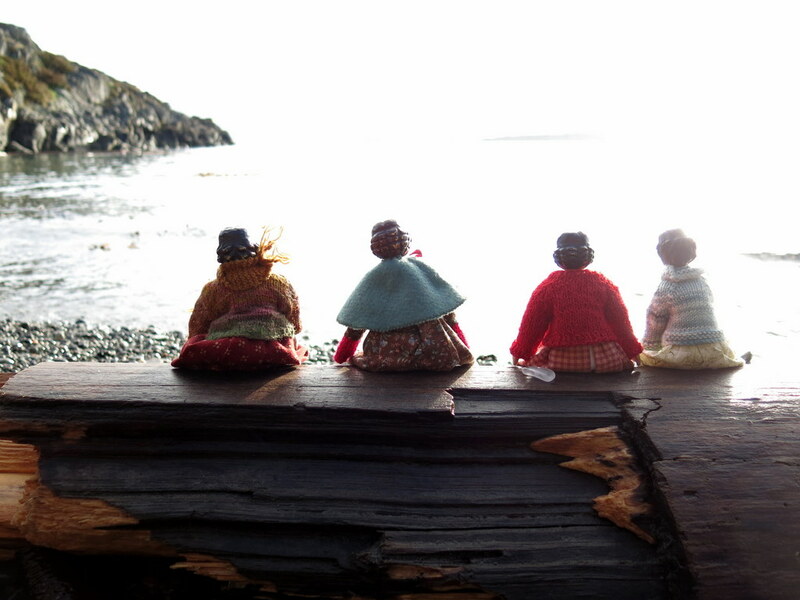 You have so many wonderful things to do and see for your dolls. You are a very lucky person.